The Microdesk Regular Angle Board is Microdesks largest angle board. This device was carefully designed by a physiotherapist to restrict the amount of twisting and reaching that office workers regularly have to do when working with paperwork at their desk. The Microdesk Regular is a great ergonomic device that can free up valuable desk space and keep you working comfortably for longer. 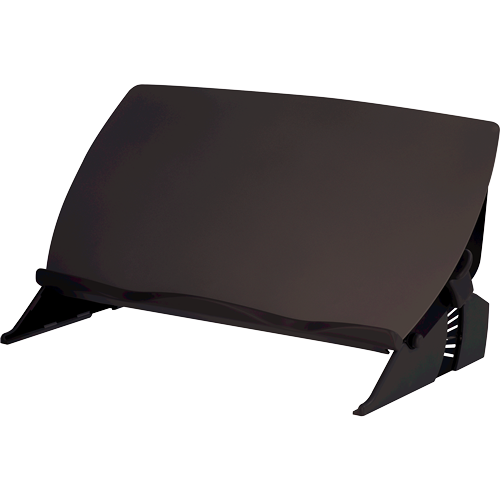 You will have easier access to your keyboard and mouse, while having a durable surface to keep documents or paper work. 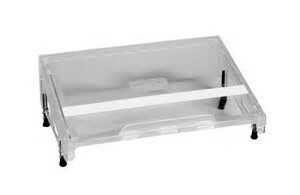 The Microdesk Regular is completely adjustable and can be tailored to suit all heights. The device is also transparent so you have increased vision of your regular desk.